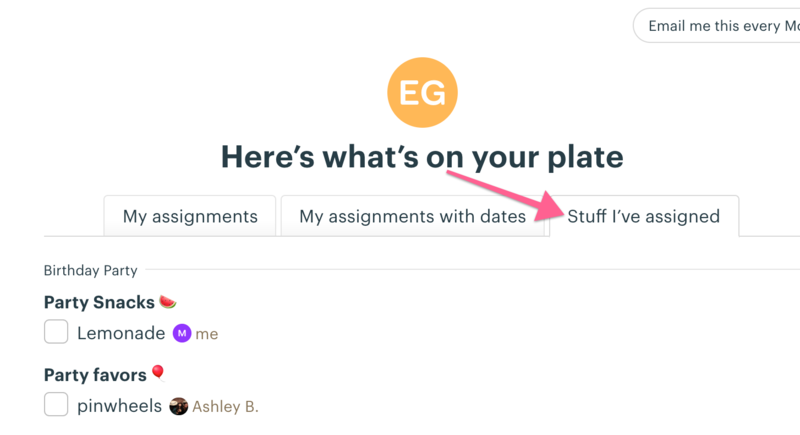 You’ll find links to your to-do assignments, bookmarks, drafts, and recent activity at the top of your screen, under "My Stuff." When you open My Stuff, you'll see links to your assignments, bookmarks, schedule, drafts, recent activity, and boosts. At the bottom of the menu, you'll see some of your recent places, and the option to use the Jump menu to find other items. Not sure what to work on next? 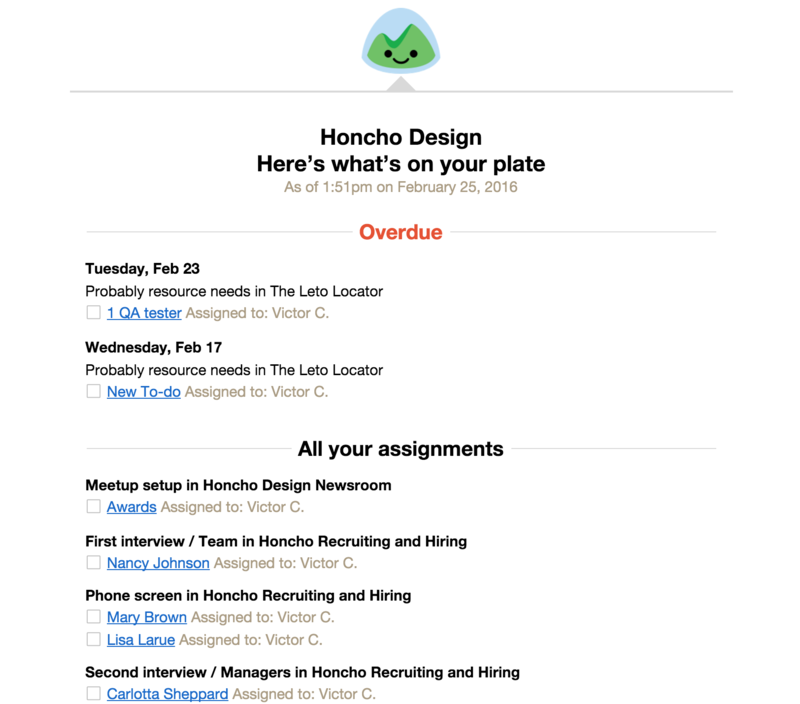 Check out My Assignments to see everything that's been assigned to you. If you've got assignments with due dates, you can easily see those by clicking the tab labeled My Assignments with dates. You'll also see a tab for to-dos you've assigned to other people. 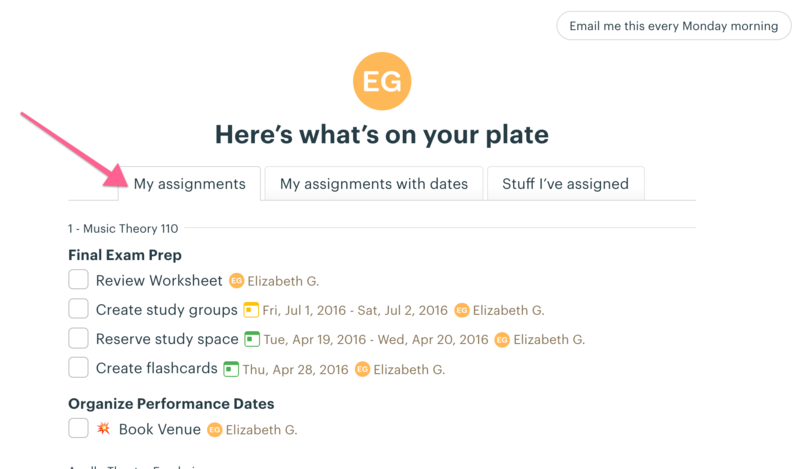 Basecamp also sends you an email report of your open assignments every Monday morning (unless you've completed everything). The report will let you know what's overdue, what's coming up this week, and it'll lay out all your other assignments too! If you'd like to turn off this weekly email, you can just click the link to turn this email off at the bottom of the email. Or you can go to your My assignments page and click on the button that says Emailed to you every Monday morning. Want it back? Just click the button again! Click the “Bookmark” button on any to-do list, doc, message, etc. in Basecamp and it’ll show up on the My Bookmarks page for easy reference. 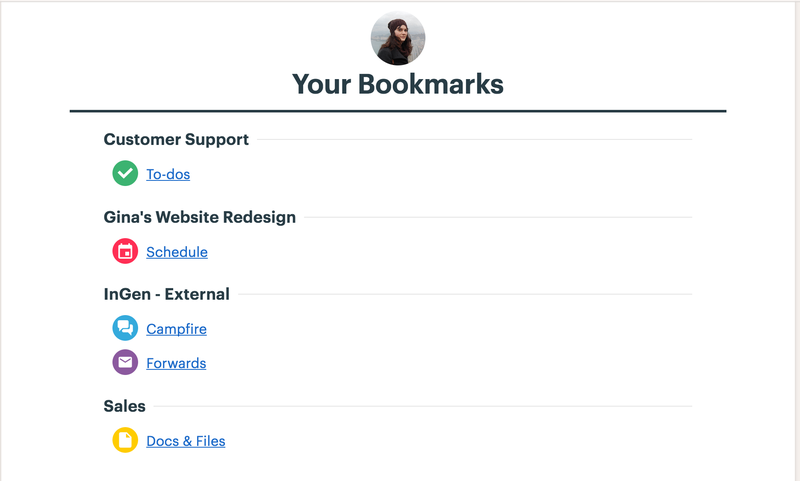 Bookmarks are yours alone — the pages you choose to bookmark are specific to you. Looking for what you've got on your schedule? Check out My Schedule to see those events you're part of along with your upcoming to-dos. 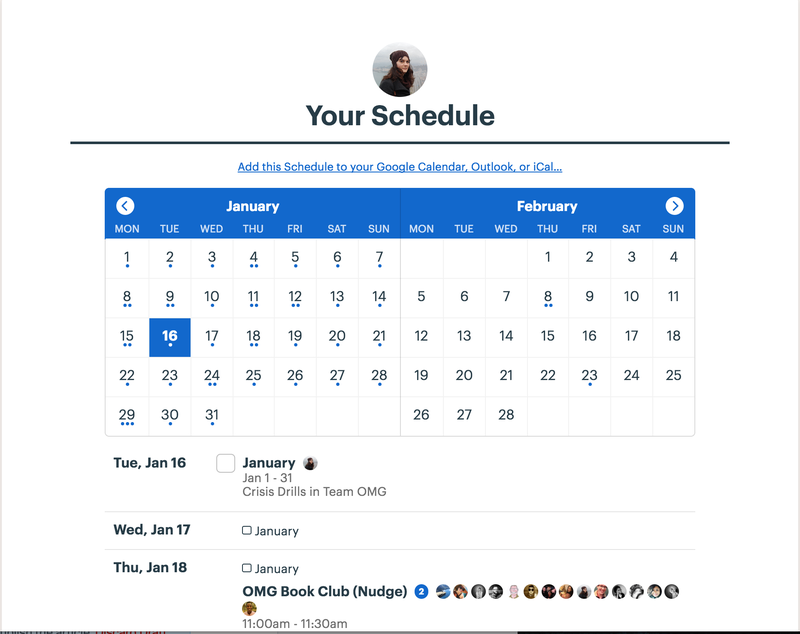 To sync your events and dated to-do assignments with Google Calendar or another external calendar program, click the Subscribe button on your My Schedule page. Follow the instructions to subscribe with your Google Calendar, or click on the links to launch iCal/Outlook. If you worked on a document or message but did not yet publish it, go to "My Drafts" in the My Stuff menu to find all your drafts in that account. You'll be able to reopen and continue editing, post them immediately, or trash them. Need a refresher on everything you’ve accomplished lately? To get an overview of everything you’ve done recently, click My Recent Activity in the My Stuff menu. 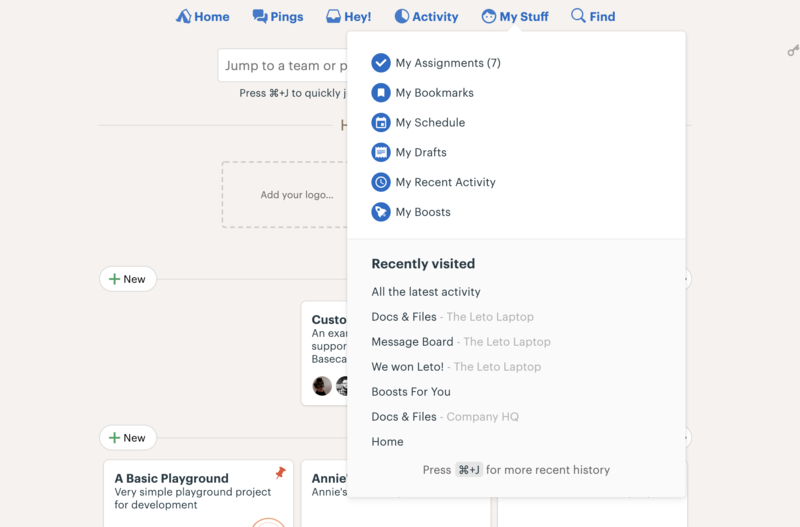 You’ll see everything you’ve done in a timeline, broken down by Team, Project, or HQ. You can run this report for someone else too! 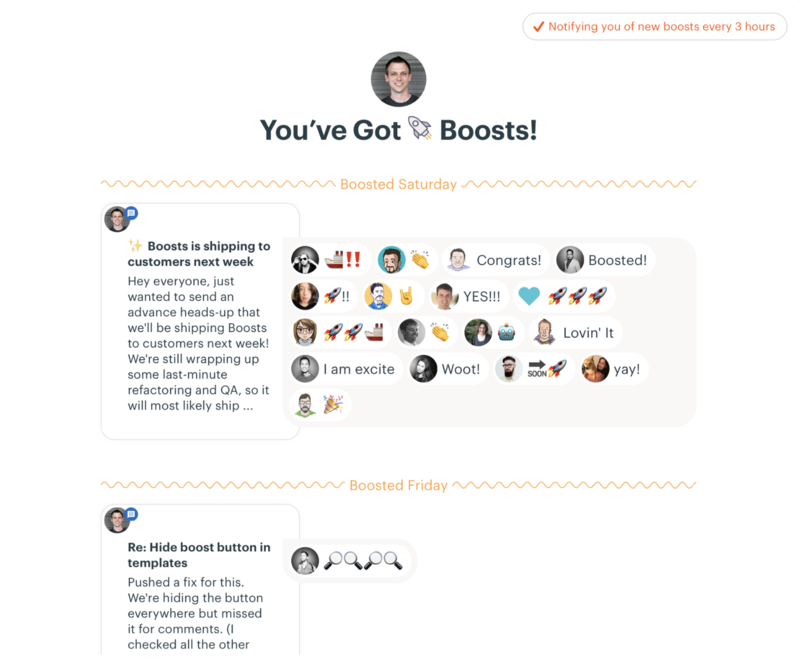 When you post something to Basecamp, others can react with Boosts. Only you will be notified about them! 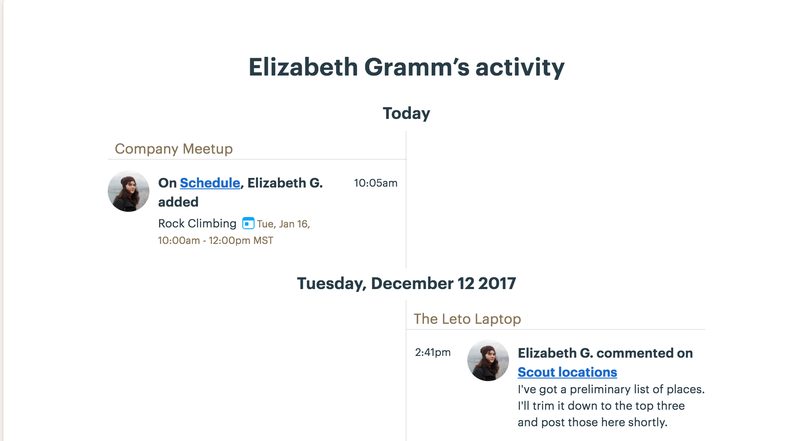 You'll get that notification about every 3 hours as long as there’s something new to report—otherwise Basecamp won’t notify you.